This story about mistrust was circling around one of the technology themed Slack groups I watch. The plot line is that a manager has an employee abruptly put in notice. She is upset about having a top team member leave, but also because she feels this person is not telling the full truth about why he is leaving. The story reads like an ‘Ask the editor’ type of column you might find in your local news paper. Not the paper for the city you live in, but maybe the town or neighborhood. Someone in the Slack thread asked “Is anyone completely truthful with their employer”? The overwhelming answer was of course not. I am no because my situation is different. But, when I was employed by a company, and if I am ever again in the future, I’d be a ‘no’ too. Here’s a little story about a time I put in notice to explain why I have always kept things back from employers. I was working for a healthcare startup several years ago. The company had just closed a large round of funding, and that generally means installation of new high level leadership in the company. We had a new CEO, a new head of sales, and a new VP of development. It was apparent from early on that I was never going to work well with the new VP. He was hellbent on giving the image that we were building great software, and happy to twist numbers (alternative facts) to create a convincing story. I was hellbent on actually making good software. As it turns out, those are strongly opposing goals. I spent about 6 months trying to make it work, and I think he tried too, but eventually I decided it was time to move on. I interviewed for, and was made an offer by another startup that was in a completely different business domain but was owned in part by the same investment firm. I put in 2 weeks notice in a professional way, I explained that I was leaving and when my last day was and left it at that. My notice was not received well. The VP asked my if I would extend the 2 weeks notice to a month and I declined. The next day he called the investment company that owned both my current and future employer trying the convince them that I needed to remain where I was for another two weeks. They obviously couldn’t do that, and the deal was done. A couple of days later, he called my phone asking again if I would stay longer. I declined once more and he told me “ok, but remember that I know a few people in this town”. OK, so do I. The moral of the story, and a lasting lesson, is that you can not trust leadership at technology companies. There are probably exceptions to this, but they are rare. These people are looking out for their own career and advancement first, and the company second. They look after employee well being somewhere down the list, but definitely not in the top 5. Most people that have been in technology for a while are just jaded enough to protect themselves. That might manifest as not telling their manager why they are unhappy, or hidden job searches, or putting in notice without explanation. Much in the same way employers don’t owe employees anything anymore, employees don’t owe their employers anything. Like I said above, my situation is different now. I can act with candor and not worry about it. If you can find a place to work like that I recommend putting down some roots. It depends on type of info, and type of contract. I am not contractually obliged to tell anyone why I'm leaving. I am contractually obliged (because of a position of trust) to disclose to a (somewhat) independent arbiter any changes in circumstance including lottery wins or serious illness in the family. I once had to report a programme going off the rails with implications about the programme manager's skill set. That was handled carefully and appropriately. I don't have to burn my bridges in a connected industry community reporting medium lack of skills or personality issues, unless it materially affects the organisation. I certainly don't have to reveal the full reasons I am 'progressing my career through another option'. As for @bigkat's wish - well, yeah. 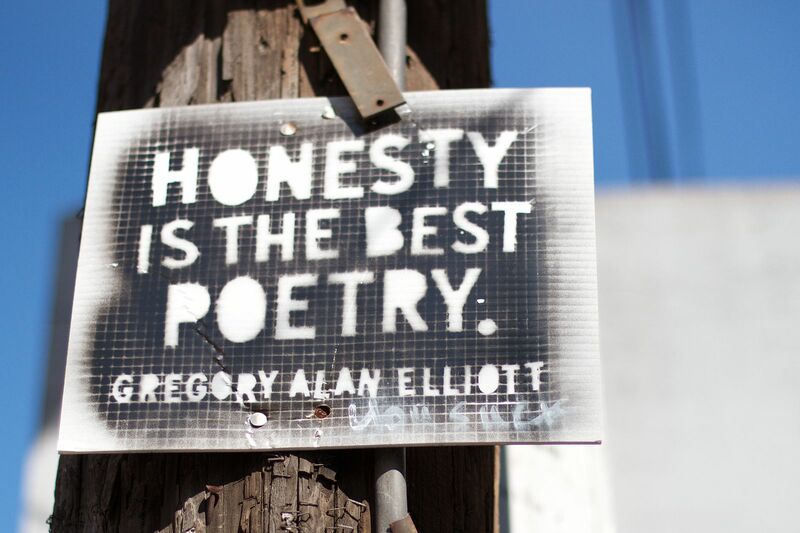 Is honesty the same thing as full and brutal disclosure. I've seen 'honesty' used as a devastating club with the wielder saying 'I was just being honest'. Failure to be transparent where it does matter e.g. financial troubles, can indeed be dishonest. Failure to explain personal decisions to leave in full is not (unless the reason is you're absconding with cash before you get caught). Giving a false reason is clearly dishonest and may result in the organisation fixing the wrong thing. Giving all the reasons? Vomiting out full disclosure when it may hurt you and other people with no benefit? Not required.